Lovely to be back in Waterbeach again. We've played here a few times before at the Beach Sessions at the Sun Inn, everyone involved with putting on music in this town always seem to be incredibly nice and there's always a decent audience. 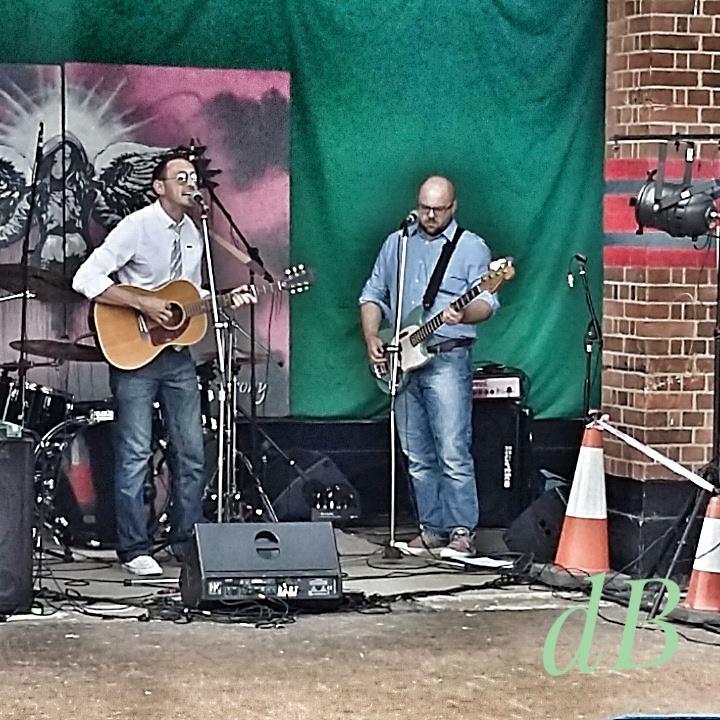 This gig was no exception, the festival took place in the now defunct barracks where Dave and I did a little acoustic set and then spent the rest of the day enjoying the beer and the other bands. Was great to see Annie Dressner perform, if you've never heard of her then you should definitely check her out. Fun Fact! Her husband Paul Goodwin played keys on several of our songs including Animal and Tread Carefully. Thanks to Dave Bradley for the photo and the geeky conversation about BBC Micros!